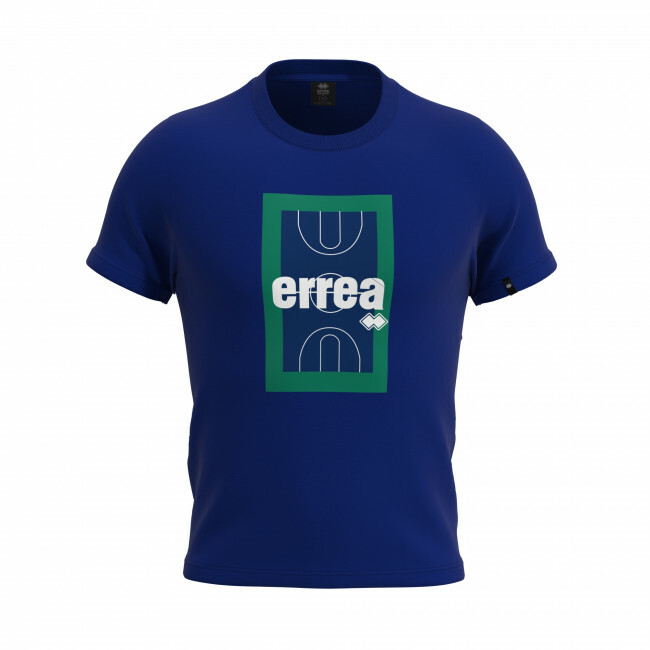 Sport Fusion Print T-Shirt from the Erreà Republic range - men's t-shirt made of Jersey to guarantee maximum comfort on and off the court. It pays tribute to the world of suburban basketball where the passion for this spectacular sport is born and nurtured. The Sport Fusion Print T-Shirt from the Erreà Republic range, a soft and breathable garment made of Jersey fabric. 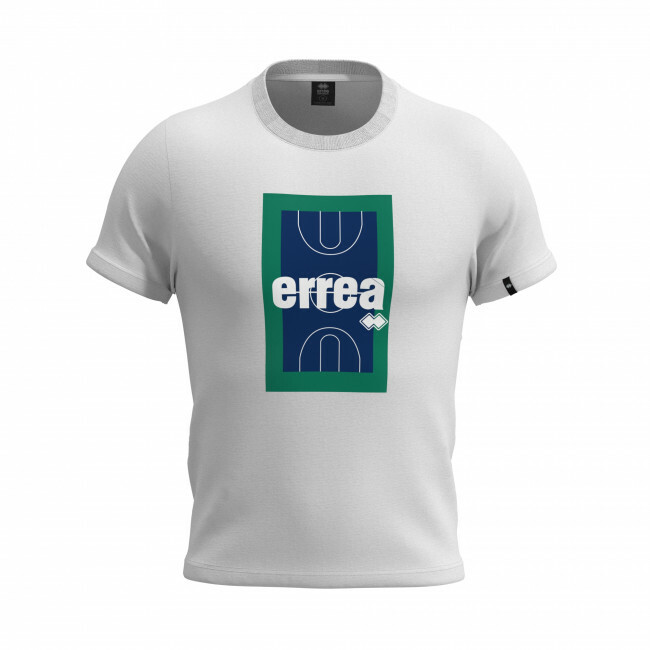 Inspired by suburban basketball courts, it has a graphic design of playing courts with ‘Erreà’ printed in the centre. Ideal for creating comfy and sporty looks for before and after sporting activities. Made entirely of Jersey fabric, this t-shirt gives a sensation of softness and delicateness on the skin. 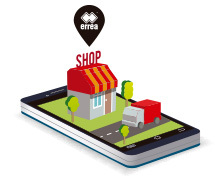 Perfect for before and after training as well as in your free time. The fabric gives you comfortable and long-lasting wearability. This t-shirt with a classic line pays tribute to the basketball courts where the passion for this sport is born and nurtured. The ribbing on the neck and sleeves provides carefree wearability throughout the day. It comes with Oeko-Tex® Standard 100 Certification, which means no harmful chemical substances were used in the production process. Normal wearability for maximum comfort throughout your daily activities. Ribbing on neck and sleeves. Soft and breathable Jersey fabric.